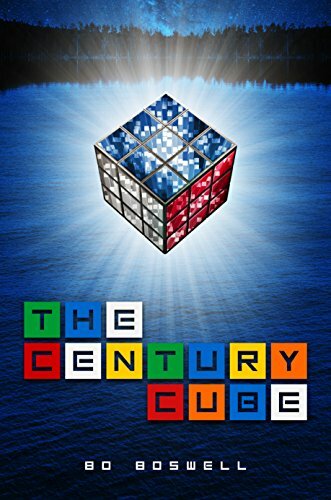 The Century Cube by Bo Boswell is a fun, fast read with enough cultural references, cool future gadgets, and excitement to appeal to kids and adults. I think this book would also be great for a reluctant reader due to the constant action. If you ever battled a Rubik’s cube, hungered after the hoverboards in Back to the Future, or yearned to time travel, The Century Cube is going to pull you in. Throw in a couple of typical brothers, Turner and Weston, and the realistic sibling rivalry and klutz factor ensure these two will be accidentally traveling to a future where their hometown is strangely devastated and some new friends have old familiar names. Now all Turner and Weston have to do is repair the century cube’s core, reassemble it, and solve it to return to their own time. What could go wrong? With their new friends at their side, they face threats beyond what they could have imagined. The Century Cube is an exciting adventure that leaves itself open for a sequel without being a cliffhanger. I received this book from the author, and I also bought the ebook with my own money. Yes, I had a free copy but I bought it anyway because I wanted it to load and sync correctly on all my various Kindles when I read it again. (That’s a bit OCD, I know, but there you have it.) My opinions are my own. A wild, gripping tale full of action and mystery that’s fun for all ages.